A lot of books are labeled “literary thrillers.” Most of the time that’s a lie. It’s not when applied to SHIMMER. The book moves at a breathtaking pace, but I was purposely slowing my reading to enjoy both the writing and the structure of the book. It’s a rare writer who can make you like the man at the root of Ponzi scheme that is technological, financial, and poised to ruin the lives of everybody he knows, but Barnes definitely pulls it off. SHIMMER is beautiful in the way that a collapsing building is; more beautiful, because throughout it you can cling to the hope that the building will somehow put itself back together. A great book across the board that I would sell to almost anybody. In just three years, CEO Robbie Case has grown Core Communications, a data technology company, from 30 people to over 5,000. Now a $20 billion company made legendary by its sudden success, Core is based on a technology no other company can come close to copying, a revolutionary breakthrough known as drawing blood from a mainframe. And Robbie, its 35-year-old CEO, is acclaimed worldwide for his vision, leadership and wealth. Except that all of it is based on a lie. The technology doesn t work, the finances are built on a Ponzi scheme of stock sales and shell corporations, and Robbie is struggling to keep the company alive, to protect the friends who work for him and all that they ve built. Each day, Robbie tries to push the catastrophe back a little further, while his employees believe that they are all moving closer to grace, the day their stock options vest, when they will be made rich for their faith and loyalty and hard work. 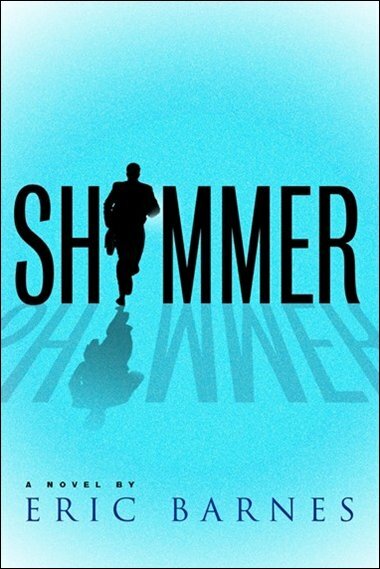 The details of the lie are all keyed into a shadowy interface that Robbie calls Shimmer, an omniscient mainframe that hides itself, calculates its own collapse, threatens to outsmart its creator and to reveal the corporation s illegal, fragile underpinnings. At some point it would become clear that I was not well. The people who would see it first, they saw it and had no reason to care. The people who should have seen it next, they were in no state to notice. Yet somewhere, at some point, I would see it myself. Probably I could have seen it all along. But then, back then, I was not seeing anything very clearly at all. I was Robbie Case, the thirty-five-year-old CEO and largest single shareholder of Core Communications, a new world company that had, in just thirty-six months, become the de facto highway for the nation’s critical financial information. Two-thirds of U.S. mortgage lenders, half of the insurance companies and three-quarters of the nation’s pension-processing centers passed information over the Core network. Aerospace, automotive, defense industries—all used our network to transfer their most important information. Eric Barnes is the publisher of the Daily News in Memphis and of The Memphis News. He was formerly COO of a communications corporation, a reporter and editor. He grew up in Washington and Alaska, working construction and in the fisheries, and has an MFA from Columbia University. This is his first novel. Author photo by Brad Johnson.